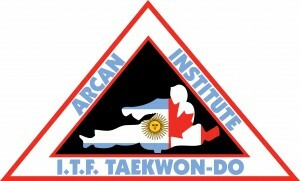 ARCAN Taekwon-Do was created in Ottawa in 2010. It represents the unification of Argentina and Canada under the direction of Sabumnym Diego Cabanas. Mr. Cabanas successfully owned and operated his own International Taekwon-Do Federation (ITF) school in Argentina (still operational under the leadership of his brother) before bringing his passion and expertise to North America. The three colours of the crest represent the colours of the Argentinian and Canadian flags. The figure in the middle performing a split kick represents the skills performed in Taekwon-Do. 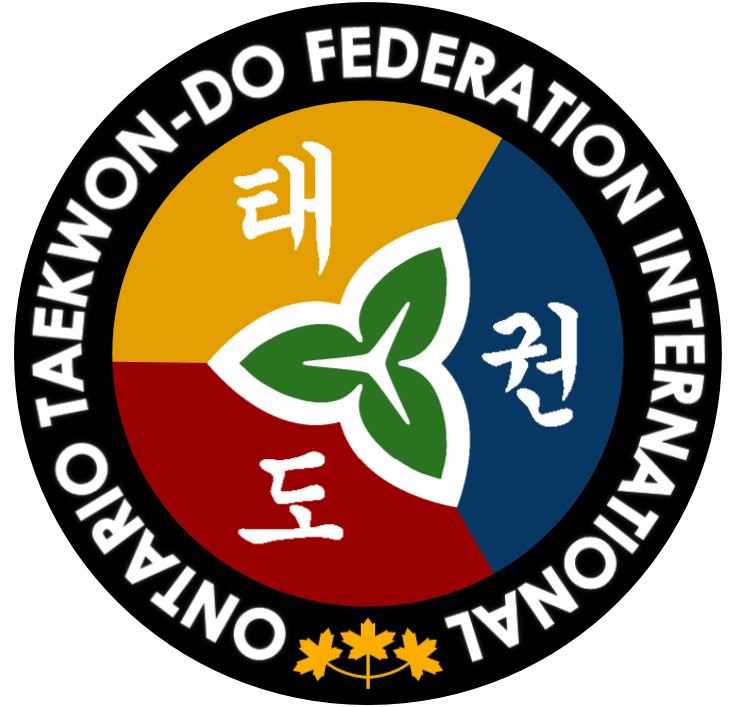 ARCAN Taekwon-Do is very proud of its strong affiliations with the ITF and the Canadian Taekwon-Do Federation International (CTFI). Both bodies are very well recognized across the country and internationally, and provide ARCAN Taekwon-Do with strong support and guidance. ARCAN Taekwon-Do’s mission is to promote the values, teachings and philosophies established by the Founder of Taekwon-Do, General Choi Hong Hi. Through the teachings and ideals of Taekwon-Do our objective is to assist our students to become accomplished contributors to society as well as attain high moral standards, self-confidence and self-discipline. We pride ourselves in developing the mental and physical health of our students while remaining dedicated to technical perfection in the art of Taekwon-Do. ARCAN Taekwon-Do instructors are continually striving to expand their knowledge and refine their technique through National and International seminars. The instructors always seek out the guidance of Masters and Grand Masters for additional knowledge and growth. It is the instructors’ responsibility to maintain a high standard of technique, physical and mental preparation, and philosophy of teaching. Through continuous learning, training and self-development the instructors strive to reach a common goal of high quality instruction for the students. Along with proper technical instruction, the instructors ensure all students acquire a prominent level of theoretical and historical knowledge of Taekwon-Do. The theory component is extremely important in guaranteeing students maintain an excellent level in Taekwon-Do. With the teaching methodologies and the systems implemented by ARCAN instructors, we can promise that our students will be well rounded and attain proper technique in Taekwon-Do, discipline, values, morals and ethics. All students will have ample knowledge of movement of the human body and self defense.